Attractive, user-friendly Web design can mean the difference between an interested customer and a lost lead. But not all founders make great designers and art directors, and it’s easy to imitate design principles that may not actually go over that well with your target audience. What are the best websites/resources for design inspiration for your new blog or website? PSFK is always on top of what’s going down in the design world as well as which brands and businesses are integrating innovative design into their products and websites. Cruising around its site is a great source of inspiration and discovery. Smashing Magazine is one of my favorite resources for design inspiration. It is always on top of the latest Web design trends, and it’s a great resource for ideas in regards to websites and blogs. Visit your favorite websites and the brands you admire. Take note of their design, messaging and the feel of the site. You can pull the best attributes of each website and work that into a design that works well for your brand. Go outside your niche as well. Look at the best companies in a variety of industries to get a fresh look at what some of the best brands are doing. – Andrew Thomas, SkyBell Technologies, Inc.
Pinterest gives you the ability to create boards of multiple types of design inspiration — not just other websites. Curate whatever you think could influence your design in one place, and use the description to explain what attributes inspire you. WhichTestWon is a great resource to see successful A/B tests to get ideas on what type of changes work and generate results. 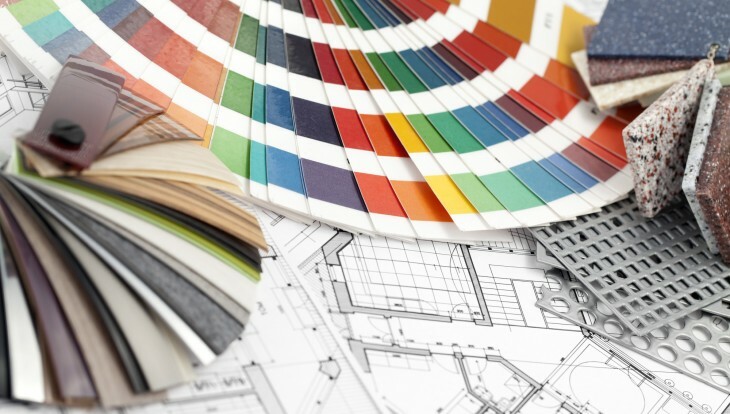 Although our company is in a specialty (B2B) industry, we still think about design from a consumer perspective. Which websites or marketing tactics do you think look good on a consumer level? What draws you into buying something? We have used local restaurants’ websites, Apple and a random website in Australia we discovered. The bottom line is that we find what we like from a consumer perspective regardless of the industry, try to pull the best/brightest ideas and use them for our own website. Don’t limit your search to your own industry. Squarespace not only a platform that helps you do your own Web design, but it’s also a great place to find inspiration. The designer for TheRecipeForRadiance.com suggested we start there, and it couldn’t have been more helpful. I’ve yet to find another venue that so overtly marries design and entrepreneurship. Check out the Fast Company Design and Fast Company Leadership online sections specifically. I like to check out the nominees for the Webby Awards. These carefully curated sites “honor excellence” online. You can view the nominees and award winners in each category. Right now I use Dribbble exclusively for design inspiration. We love its daily newsletter and often repost our findings in our weekly design inspiration blog post. The Favorite Website Award highlights amazing creative and technical design daily. It’s a great source for inspiration for Web and mobile. Behance is a place for creatives to highlight their best work. You can connect directly with individuals there, see a lot of their work and even discover the rationale behind why they did something the way they did.